Beyond Today Educator, 9781946229441, 150pp. "Think before acting," her father always warned. But Princess Guinevere is ruled by her heart. Her betrothal to King Arthur has not changed this. When Guinevere and Cedwyn's latest adventure takes a dangerous turn, they find themselves embroiled in a life-or-death struggle as foretold by Merlyn's Goddess of the Stones. Renegades--foiled in their attempt to kidnap the princess--steal the children of Cadbury Castle to sell as slaves. 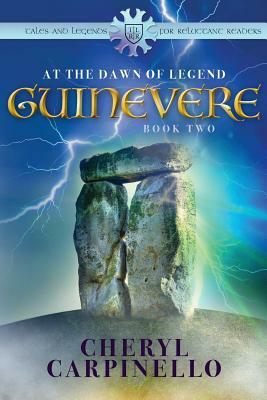 Guinevere and Cedwyn vow to rescue the children, but a miscalculation puts them all in more danger. The plan quickly unravels, and Guinevere's impassioned decisions come crashing down as Cedwyn chooses to turn his dream of becoming a knight into reality. Will their courage be strong enough to survive, or will one make the ultimate sacrifice?